Tinnitus is a condition in which a person experiences ringing or buzzing in the ears. This constant noise can be quite stressful as it can impede on your sleeping, as well as your day-to-day life. Sufferers of tinnitus are often anxious, stressed out, and frustrated that they are unable to stop the constant ringing. Well, German researchers have recently developed a simple app that can help improve the effects of tinnitus – and the sufferers’ quality of life. The researchers suggest that listening to music can reduce the effects of tinnitus up to 50 percent. Existing treatments for tinnitus have only offered minimal relief, with the most common treatment being cognitive behavioral therapy which helps the patients distract themselves from the noise – without actually diminishing it. So far in the testing phases, it has been found that patients experience a 25 to 50 percent reduction in ringing and buzzing and tinnitus-related symptoms, thanks to this app. The app works by removing the damaging frequencies in music. The songs then contain a “therapeutic gap” which helps alleviate the ringing in the ears. The process is quite revolutionary and has already shown promise in becoming the first cure for tinnitus. 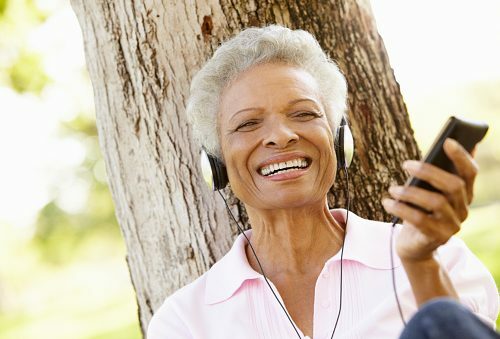 Which means, patients can enjoy all their favorite tunes all the while improving their tinnitus. All you need to do is upload your favorite tracks to the app and it filters them for frequencies. The app will also identify the songs that have a higher therapeutic potential. Unfortunately, the app is currently available only in Germany, but it can be downloaded on both Apple and Google products. It is unclear as to when it will be available worldwide, but it goes to show that we are much closer to possibly curing tinnitus, or at least improving a patient’s life.